I am delighted to share the Introduction of my book, Buddhism for Pet Lovers: Supporting Our Closest Companions through Life and Death. This chapter sets the scene for a book that is very close to my heart. In this blog I have also included in a few very personal photos from the family archives – my apologies that the quality of these isn’t wonderful, but the pictures do tell a story! 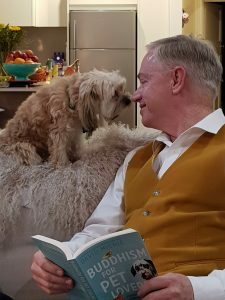 It is my heartfelt wish that this book may be a cause for us all to enjoy more meaningful communication with our pets, to recognise that they are not in our lives by chance, and to understand just how transformational our relationships can be – both for them and for us! These are big questions for animal lovers because, for many of us, pets are among our most cherished family members. 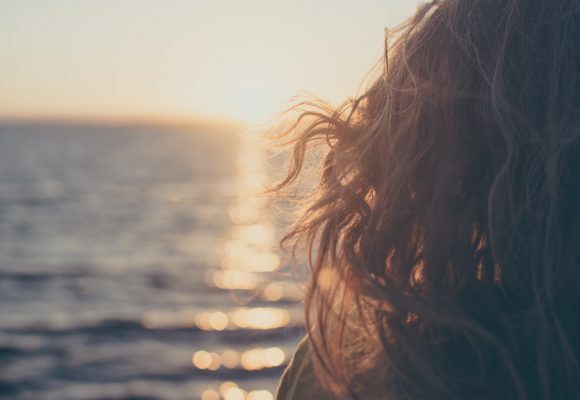 A constant presence in our homes, they are an important focus of our daily routine, active participants in our lives and silent witnesses to us in our most intimate and vulnerable moments. We share our valuable recreation time with them, our furniture, our belongings. Many of us even sleep in contorted postures so that they can share our beds! We develop functioning, non-verbal communication with our animal companions covering not only domestic rules and rituals, but extending well beyond that to include a wide range of feelings, including playfulness, fear, anger and love. Over time, many of us bond very deeply with our pets, knowing that we share a mutual understanding and a profound connection on a level beyond words. It’s a connection with a quality we may not feel in relation to any other beings. What happens to our pets really matters. For a growing number of people, it may matter even more than what happens to their fellow humans. One of the most pronounced demographic trends of the past quarter century has been the rise in single person households, which now comprise an astonishing 30 per cent of homes in the developed world. Missing from human-centric census figures are data for pets. If statistics were available, they may well reveal that, far from living alone, many of these 30 per cent-ers share their lives with dogs, cats, birds, rabbits, fish and other beings who are their de-facto families. Loved ones who must be cared for in old age, sickness and death by humans traversing the same ground, albeit more slowly, themselves. In this, as in so many important ways, pets can be among our greatest gifts. Because in asking questions about what happens to our animal companions, we are propelled to seek answers about our own futures. In exploring practices that may benefit them, we, ourselves, become the first beneficiaries. This book is about the inner lives of pets, written from the perspective of Tibetan Buddhism. And because of this unique and extraordinary vantage, it is also about our own inner lives. For just as our pets are thinking, feeling beings with the capacity for transcendence, we are too. 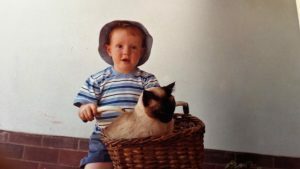 Among my earliest memories is the face of Pandy, a Siamese cat my parents gave my older brother when I was born, to help assuage any feelings of jealousy he might feel towards the new arrival. Pandy was a much-loved companion throughout my childhood and right up till the time I graduated from university; she lived to the grand old age of twenty-one. 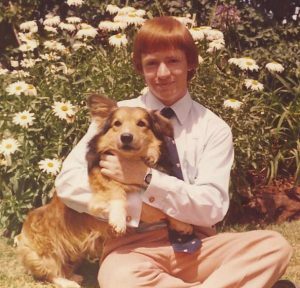 As well as cats, my parents were keen on corgis, which is how two of these also became my energetic playmates during my school years. I was quite young when I discovered a strong empathy for animals. I can still remember being reduced to tears in the back of the family car when a weekend excursion took us past a herd of cattle trapped in barren fields behind a barbed wire fence, so malnourished that their ribs and spines were clearly visible through their hides: how was it possible people could be so unfeeling that they would allow such a thing to happen, I wondered? 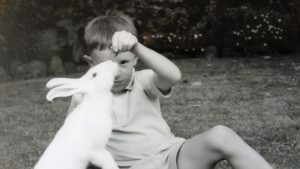 As a child I was devoted to a white rabbit, a golden hamster, a guinea pig and several mice—though seldom concurrently. 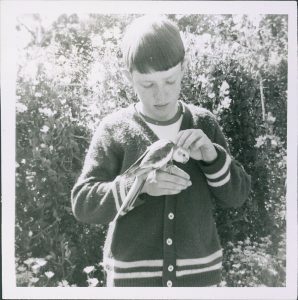 A cockatiel was perched on my shoulder through most of my teenage years, by which time Pandy’s hunting instincts had, fortunately, dimmed. 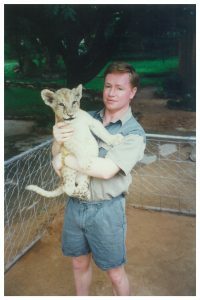 Because I grew up in Zimbabwe, school holidays frequently meant a visit to a game reserve, and during one vacation I volunteered at the Lion and Cheetah Park, where my duties ran to bottle-feeding lion cubs and the showering of an orphaned baby elephant. Doctor Dolittle wasn’t so much my childhood hero, as my role model! Why would anybody not wish to talk to the animals, parlay with the pachyderms or chat to a chimp in chimpanzee? I devoured every book written by Gerald Durrell and James Herriot, and fully intended to become a vet until the age of sixteen, when a short stint observing what went on behind the scenes at our local veterinary clinic made me realise that the clinical requirements of being a vet demanded very different skills from those I possessed. It was only much later that I worked out a way to use my compulsion for writing to be of benefit to those possessing fur, feathers and fins. Throughout my rich and diverse encounters with different creatures, it never occurred to me that any of them was fundamentally different from me. On a daily basis we all sought food, drink and whatever creature comforts were on offer. Just as we did our best to avoid hardships of any kind. We all enjoyed giving and receiving affection. And we also had our quirks and rebellious streaks; in the case of Toto, the cockatiel, at the end of the afternoon he would sometimes remain stubbornly in the highest branches of the cherry tree, so that after all coaxing failed, only a well-aimed tennis ball—softly thrown, of course—would persuade him to fly back down again. The deaths of my pets were not only the cause of grief, but also of unanswered questions. My parents were church-going Presbyterians, and when I asked our kindly minister about the fate of poor Bugs, the first to die, he gave me an answer that was intended to reassure but which didn’t. What I wanted to be told was that Bugs was hopping happily in heaven, cared for by rabbit-loving angels and enjoying shredded lettuce from the bottom tray of celestial tea trolleys—an indulgence she’d been allowed at home. Our reverend’s assertion that we could trust God to take care of all His creatures had a vagueness about it which perplexed me. It was a perplexity that continued as I grew older and discovered that across Christian traditions there is no consensus about the inner lives of animals. What I found instead was ambiguity and contradiction about even the most basic of facts, such as whether or not animals have souls—a bewildering paradox given that the word ‘animal’ comes from the Latin animalis, meaning having soul, or having breath. Revolting, as a teenager, I used to question why, among the seemingly endless Old Testament litanies of who begat whom, the Good Lord hadn’t thought it useful to devote a chapter or two to outlining the spiritual prospects of the overwhelming majority of our world’s inhabitants. Not all scientists would agree with these words. Those involved in the field of quantum physics would question whether the workings of the mind can be explained on the basis of classical mechanics. If matter is also energy, then any explanation that ignores the non-material properties of the body cannot possibly tell the whole story. In recent years, part of the groundswell towards greener, healthier and more mindful living has been the explosion of research studies, TV programs and books focusing on animals and our relationships with them. Veterinarians, biologists and conservationists have been joined by new breeds of animal experts, including behaviourists, communicators and complementary healers. Through their work we have come to learn that the other species with whom we share our planet possess many of the qualities believed, until recently, to be uniquely human, and that some possess powers that we’d consider to be superhuman if they were exercised by people. Pigs have IQ levels similar to chimpanzees, live in complex social communities and display high levels of self-awareness and empathy when witnessing the same emotion in other pigs. Elephants grieve and mourn the death of their family members and demonstrate very high levels of mutual support. Dolphins and other cetaceans can see in 3D. Dogs can be trained to detect dangerous falls in a diabetic’s blood sugar level, can know in advance if someone is about to have an epileptic seizure and can even detect bladder cancer with astounding reliability. Some cats, parrots, horses and dogs have shown that they can accurately predict when their human companions are on their way home, as well as exhibit other startling examples of telepathy. Increasingly, we are coming to realise that just because animals don’t communicate like we do, it doesn’t mean they are less sentient. They are thinking, feeling beings with the same capacity as ourselves for empathy and selfishness, rage and compassion, fear and altruism. In terms of sensory capacity, many of them possess capabilities well beyond our own. In my early thirties I began meditating to help manage stress. I was living in London, working for a public relations agency, an environment that was stimulating but relentless. Within weeks of taking up meditation practice I began to experience its benefits in ways which went beyond stress management. Eager to know more about the theory behind the simple, morning ritual, I found myself increasingly drawn to books about Buddhism, having discovered that meditation lay at the heart of this tradition. One thing led to another and I started attending Buddhist classes. This was when, while no longer looking, I found answers to the questions that I had long since given up on. Here, at last, was an approach to both animal and human consciousness that was straightforward and accorded with my own experience. For the thousands of years that Western scientists had been trying to make sense of external reality, their Eastern peers had been doing the same thing in relation to inner reality, using the very same methods of long-term, forensic observation, rigorous testing of hypotheses, peer review and debate. The end result was a coherent explanation which not only made sense as a theory but could also be used as a practical basis for our own explorations of the mind. Yes, of course animals have consciousness, is the Buddhist view. And yes, one mind moment is affected by previous mind moments in a causal way so that, whether we are aware of it or not, on an ongoing basis, we are shaping the way we experience reality. Yes, too, the mind, which may be defined as a continuum of clarity and cognition, is non-material, or energetic in nature, and continues beyond physical death in a subtle form. Newcomers to Tibetan Buddhism frequently remark on how many of the teachings seem to them to be common sense, which makes for a reassuring foundation. But the teachings go well beyond an acknowledgement of the obvious. 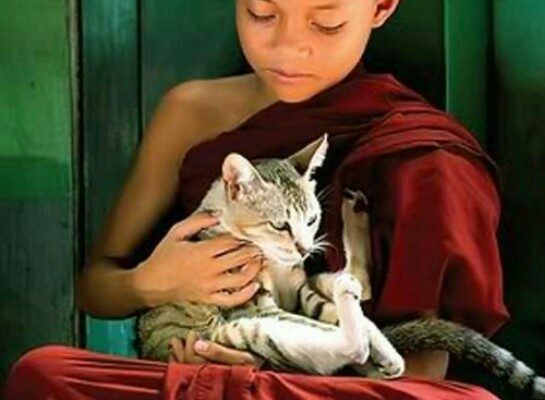 Of special interest to animal lovers is the concept of bodhichitta (pron. bode-ee-cheetah) which, more than any other term, distinguishes the Tibetan Buddhist tradition. Derived from two Sanskrit words, bodhi, meaning awake or enlightened, and citta, meaning mind or heart, bodhichitta is the mind of enlightenment, and may be defined as the wish to attain enlightenment to be of ultimate benefit to all sentient beings. Based on compassion for the suffering we can see for ourselves among both humans and animals, the central objective of Buddhist practice is to cultivate our bodhichitta motivation until it becomes spontaneous and heartfelt. There is nothing human-centric about bodhichitta. It is explicitly all-inclusive. 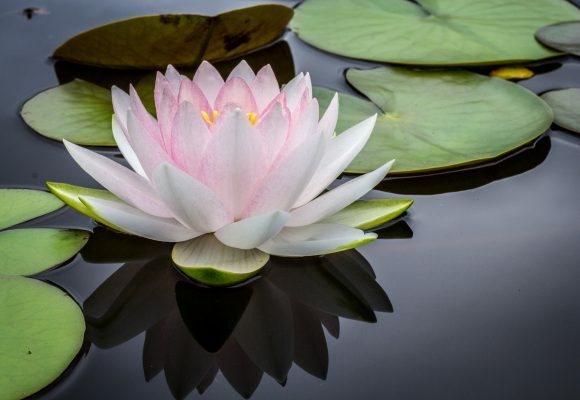 Even a goal as sweeping as helping every person on the planet attain a state of enlightenment would be flawed: it would fail to recognise that all living beings share the same essential nature. We are all sentient beings. The title of this book refers specifically to pets. You may be wondering why I am not writing about Buddhism in relation to all animals? The guiding principles I outline in Chapter 3 can be applied equally to your beloved animal companion as to a herd of giraffes you may watch moving gracefully into the sunset while on safari. What makes pets different is our connection to them. Of the countless billions of sentient beings on planet earth, the fact that we share our homes with a specific few is, from a Buddhist perspective, no accident. The principal of cause and effect, or karma, suggests that the beings closest to us in this life are those with whom we have a particularly strong connection. Whatever our belief system, the interactions we have with our pets on an ongoing basis offer far greater scope for mutual engagement than the relatively few moments we may spend in the presence of, say, mountain gorillas in the mists of Central Africa, however precious those moments may be. Our pets are part of our world 24/7. Sometimes we spend more time with them than even our closest friends. On the surface of things, it may seem that people provide food, shelter and walking services in exchange for affection, and perhaps, in the case of dogs, an element of security. But we don’t have to delve too deep to recognise that our relationship with pets is a lot more complex than this basic trade-off would suggest. What if, as psychologists tell us, our emotional wellbeing depends on our mindfulness, openness, generosity, resilience and spontaneity? Do pets not offer us ample opportunity to cultivate these each and every day? Are they not, according to this view, among our most active supporters in providing countless opportunities to enhance our capacity for contentment? The transformative presence of pets is now widely recognised in retirement homes, where lounges filled with sedentary, disengaged residents come alive with the appearance of a visiting golden retriever or a therapy cat. The simple presence of a pet can offer a lightness and a joy, a sense of connection, and an invitation to be uninhibitedly ourselves in a way that is both unique and priceless. 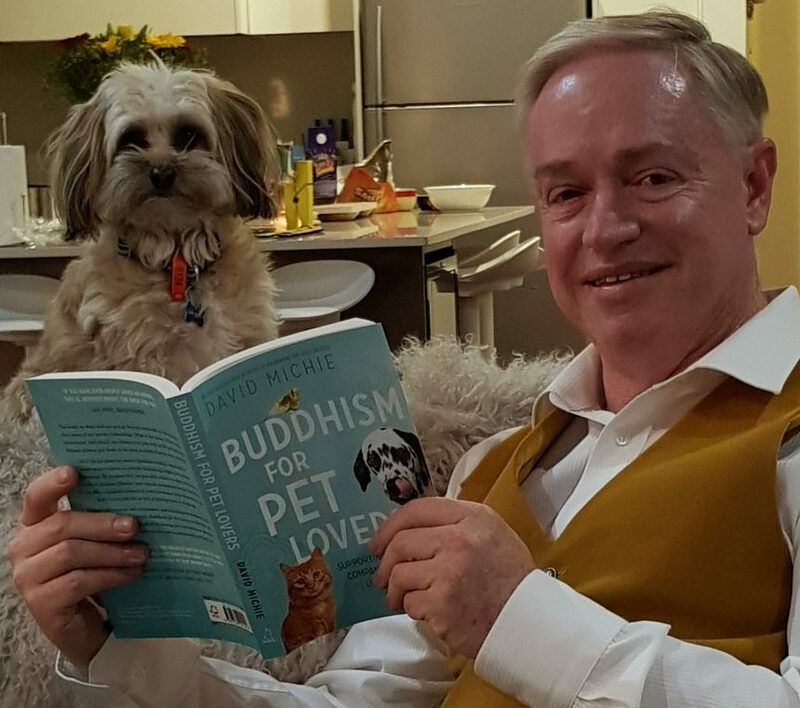 And from a Buddhist perspective, for those of us who wish to help others find not only mundane contentment but also to realise their ultimate potential, the pets in our lives represent a precious and awesome privilege. As I outline on the following pages, there are a great many practices that provide powerful imprints on our pets’ consciousness. These range from ongoing activities like being mindfully present for them every day, and creating positive associations with powerful mantras, to the extraordinary opportunity presented by a pet’s death, when we have the chance to help them navigate through a time of transition for the best possible outcome. I refer to dogs and cats a lot in this book, reflecting their popularity as pets, and the depth of our experience living closely with them. It’s important to know that exactly the same principles and practices apply to other animals. Mice, hamsters, rats and other rodents are very much a part of our broader, mammalian family. It is striking that the reason why rats are the animal of choice for laboratory testing is precisely because their physiological functioning is so similar to our own. Pigs heart valves are routinely transplanted into humans. We are all of the same ilk. Rabbits and guinea pigs can be affectionate pets. Pot-bellied pigs are adored by their owners. And the very close relationship some people enjoy with horses shows that what matters here is not shape or size but consciousness. The complexity of birds’ brains is only now beginning to be understood—the old insult could not be more misleading. Our avian friends are certainly as sentient as we are. And while warm bonds of friendship are less frequently reported with fish and reptiles, the mere fact that they possess minds means that we can help them, if perhaps to a lesser extent than those beings with whom we have a more empathetic connection. Do you need to believe there is some continuation of life after death to find the practices in this book useful? 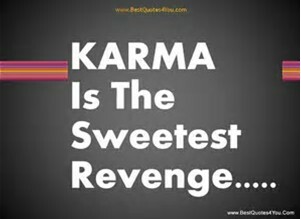 Must you accept karma—the principle that all actions create effects in the minds of those undertaking them, whether human or animal? Do you have to buy into the concept of rebirth or other aspects of Eastern mysticism that you may find, frankly, weird? No. You don’t have to believe anything. What you do need is an open mind. The materialist theory that consciousness arises from the brain can no more be proven than the idea that consciousness is shaped by cause and effect can be disproven. If you are new to some of these concepts, they may take time to get your head around. One of the most exciting aspects of Tibetan Buddhism is that it is a living tradition. Residing among us, here today, are lamas and spiritual masters such as my own precious teachers, Geshe Acharya Thubten Loden, Venerable Acharya Zasep Tulku Rinpoche and Les Sheehy, who walk the talk. The more you spend time with them, and observe their actions, the more self-evident the truth of their teachings becomes. They are, if you like, the living, breathing embodiment of this wisdom tradition. Texts and ancient scriptures are all very well, but what validates them and makes them real for Buddhists is the way we can see them transform the lives of others—as well as our own. For many of us, pets are among the handful of beings who are our closest companions on our journey through life. We may already greatly value these relationships. What I hope to describe, in the pages that follow, is how they can become of inconceivably greater value. How we can work with the love and joy we already feel in these very special relationships to energise and enrich both our pets’ development as well as our own. How what starts out as the simple wish for the happiness of our beloved pet, when conjoined with bodhichitta, becomes the transcendental cause not only for our pets’ ultimate enlightenment, but for ours too. What happened to Bugs? My biggest regret is that I didn’t know then what I know now, or I could have been of far greater help to her. What I am confident of is that her mind stream continues. Through our close connection there is the prospect that I can be of benefit, and the sooner I evolve in my own journey, the fast I will be of use to her. Ultimately, we may one day be able to manifest as two beings at a celestial tea trolley, joking about the time that one of us was a rabbit and the other a human being—and perhaps contrast it with the time when it was the other way around. Or maybe she is with me as I write these words, at this very minute, lying on the end of my desk, now in the guise of my tortoiseshell cat, purring . . .
(Photos top and bottom: I review the new book with the lively interest of ‘Scruffy Dave’). Check out my books which explore the themes of my blogs in more detail. You can read the first chapters of all my books and find links to where to buy them here. Have a look at the Free Stuff section of my website. Here you will find lots of downloads including guided meditations, plus audio files of yours truly reading the first chapter of several of my books. Join me on Mindful Safari in Zimbabwe, where I was born and grew up. On Mindful Safari we combine game drives and magical encounters with lion, elephant, giraffe, and other iconic wildlife, with inner journeys exploring the nature of our own mind. Find out more by clicking here. A friend told me about THE DALAI LAMA’S CAT! WOW! What a gift. Now I am reading the third in the series – MEOW – and loving it. You are my new favorite author; and I plan to read every word you have ever written as fast as I can. A lifelong voracious reader , it has been some time since I have been so enthralled with ideas and thoughts that are new to me. My love for animals and all creatures seems to fit Buddhist thinking; and I look forward to moving forward and delving deeply into this thinking. THANK YOU! All your characters, both human and feline, etc., are SO alive. Right now I will be purchasing this new book. I just loved this! Thank you so much for sharing this introduction (and the photos!) with your blog readers. Your books are always enjoyable, but this new one sounds amazing, wonderful and insightful — it should be required reading for everyone who shares their life and heart with an animal companion. Just finished reading it and going back for a second, in-depth, read. Thoroughly enjoyed it as it pulled together material from science and alternate healing modalities with Buddhism. I wish I had known in all my years of caring for animals, I could have become ‘enlightened for the benefit of all living beings’. Will work with that for the future. Just one query – your instructions on Tong Len differ from those on your download – is it simply a matter of intention how Tong Len is used? Thank you for a wonderful book. Outstanding introduction, David. I look forward to reading your book. David~~ As my Amazon review says, I loved this book! It showed me so much about helping my kitties through the journey of life and to be prepared and to help them in their journey to the afterlife! This wonderful book is a keeper and a re-read over and over to absorb all the information! Once again you have given so much to think about! Thank you, thank you! Love the Book. Thanks for this writing…. David thank you for such an enlightening book as I said in my Amazon review I loved it. Every thing was so clear. You explain about the transition through death and the bardo state with such clarity and compassion that anyone could understand. Thank you for this beautifull book. Going to Amazon to order my book now. Loved the introduction! Can’t wait to read the rest — surely will shine some light on so many questions of my own! Thank you so much for writing this book, I am delighted and looking forward to reading it. My beloved Khara (Afghan) is quite elderly and I want to help her the best way I can while she is still with me, to prepare for the transition, and to help her at the time that she will leave me. I am very grateful to you! Thank you for writing this book. 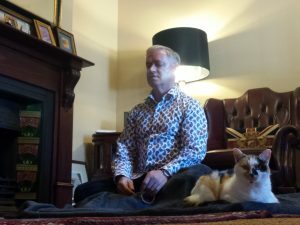 As an Animal REIKI Master meditating with animals is a huge part of my life. Finding a common calmness between humans and animals is so rewarding. I know you use the term pets rather than animals. The meditative bond we have with our pets can indeed be stronger. I look forward to reading your Blog. Again thank you for all you do for animals. So grateful for the writing of this book. 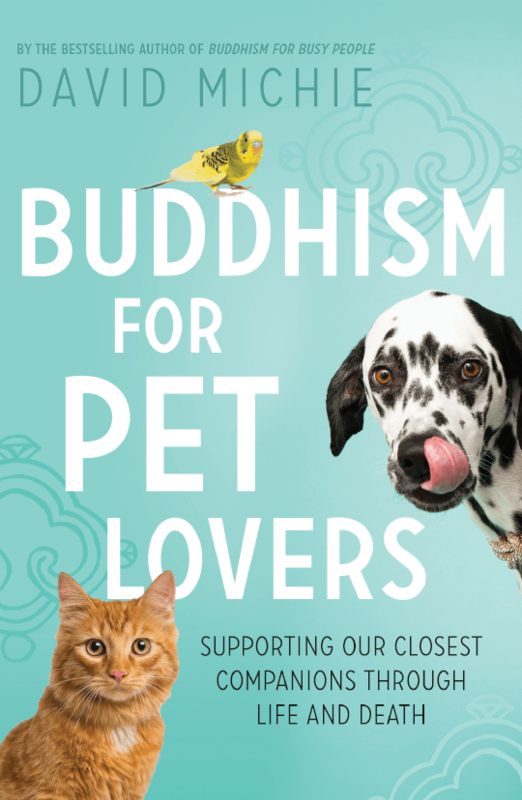 Finally, a book combining buddhism and pets, yay! Currently on my second read through and thoroughly enjoying it. Thank you David. 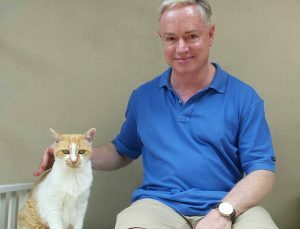 You know I love cats!- I have 6 at the moment and a female dog that I rescued last year. She is 11 years old and she has taught me all about companionship and dependence on true love. She loves our cats. Well, about karma and coming back as an animal, I wouldn’t coming back as a cat. In fact, I feel I must have been a cat before, because I always had a deep understanding of cat behaviour, more than any of my friends. I would like to order that new book. Hope to see you again! !